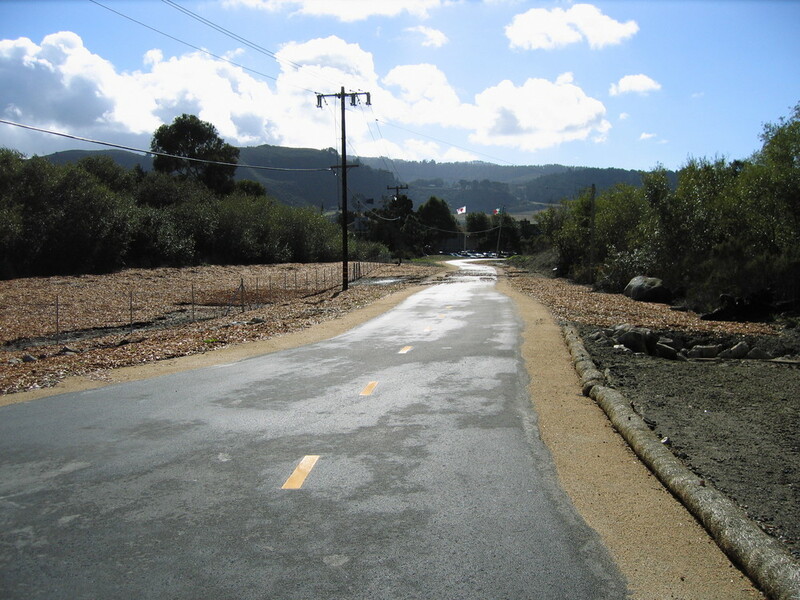 Carmel Hill and River Class I Bicycle Trail — Denise Duffy & Associates , Inc.
DD&A conducted an environmental analysis of the proposed 1.7 mile paved bicycle trail and several alternative alignments for the Carmel Hill and River Class I Bicycle Trail Project, located in Carmel, California. Natural Resource Department (NRD) tasks included all biological documentation for the project, including rare plant surveys, a wetland delineation, and a Biological Assessment per Caltrans standards. Evaluation of potential impacts to the federally listed CRLF and Smith’s blue butterfly were primary issues. Additionally, the NRD produced a Biological Mitigation, Monitoring and Reporting Plan (MMRP), including a planting plan for wetland, riparian, and Smith’s blue butterfly habitats. DD&A’s planning division prepared an EIR for the project, which resulted in adoption of one of the analyzed alternatives, a shortened trail. The NRD then completed the regulatory permit acquisition for this alternative, which included a DFG 1602 Streambed Alteration Agreement, ACOE Section 404 Permit, a RWQCB Section 401 Permit, and a Coastal Development Permit. DD&A also completed the pre-construction and construction-phase monitoring for CRLF and other wildlife species and oversaw the installation of the restoration. DD&A is currently under contract to complete long-term monitoring for the Biological MMRP.